ATTENTION, BOOKING IN APARTMENTS IS CARRYING OUT OF 3 DAYS! 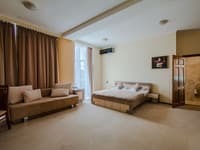 Apartments "Domashniy Uyut na ul.Lunacharskogo" are located on the Left bank of the Dnieper River, a 5-minute walk from the metro station "Levoberezhnaya" and the International Exhibition Center (ICC). 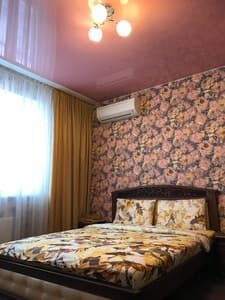 Guests are offered accommodation in a spacious two-room apartment, equipped with satellite TV, Wi-Fi access, air conditioning, comfortable furniture and modern home appliances. The apartment has a kitchen, equipped with all necessary cooking equipment. 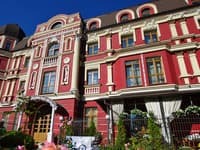 Next to the apartments are the SEC "Komod", a cinema, the theater "Dramas and comedies", supermarkets around the clock and the market. 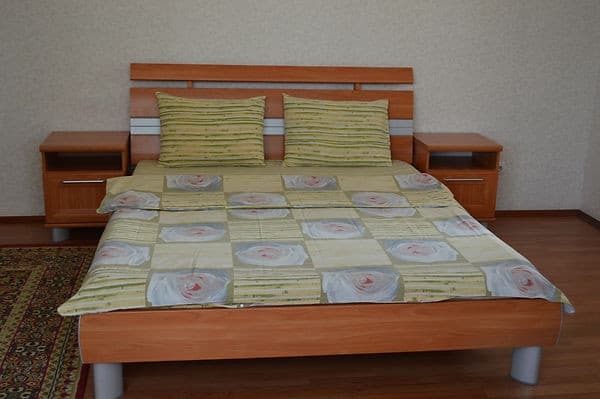 The distance from Domashny Uyut at Lunacharsky Street to the railway station is 10 km, the bus station is 9 km, and the Boryspil International Airport is 30 km away. 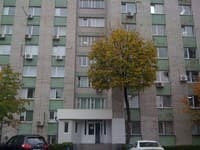 Описание номера: ATTENTION, BOOKING IN APARTMENTS IS CARRYING OUT OF 3 DAYS !!! One bedroom apartment with separate rooms. The apartments are equipped with all necessary furniture and appliances for comfortable living. 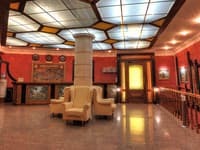 The apartment is a 5-minute walk from the metro station Livoberezhna. Parking in 2 minutes. 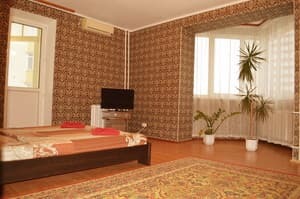 Near the Dnieper River, hotel Tourist, restaurants, pubs, TRC Komod, new cinema, theater of Drama and Comedy, market, supermarkets. The apartment is located in 5 minutes. walk from the station. metro station "Levoberezhnaya" 550 m. The distance to the railway station is 10 km, the bus station - 9 km, the international airport Boryspil - 30 km. From the railway and bus station is most convenient to go by subway to the station. "Left Bank". From the airport Boryspil to metro station "Borispolskaya" or railway station, then by metro to the station. "Left Bank".